Watch full Naruto Shippuden Season 17 Episode 7 English Dubbed full HD online. Naruto Shippuden Episode 368 English Dubbed online for free in HD. During the next meeting between Hashirama and Madara, the two try to warn each other that their families are after them. But when Butsuma and Tobirama arrive at the same time as Madara’s brother Izuna and their father Tajima and the confrontation leads to Izuna almost being killed, Madara accepts the reality they live in and agrees to continue fighting against the Senju. As the years pass, Hashirama and Madara become the leaders of their respective clans as the conflict between their families continues with many casualties. 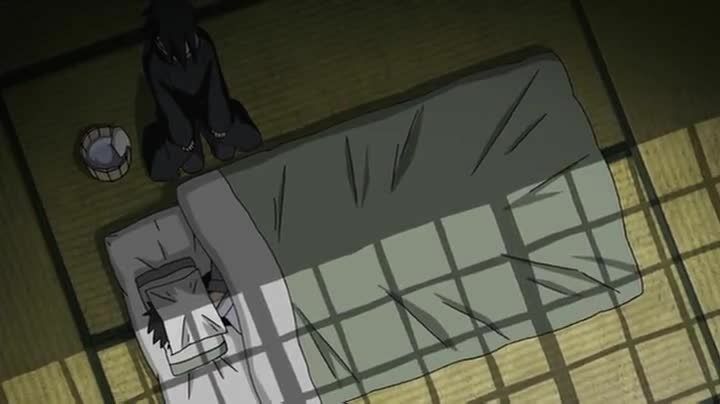 During one such battle, Tobirama fatally wounds Izuna. The next time the Senju brothers encounter Madara in a later battle, he informs them that Izuna had succumbed to his injuries and had left him his eyes to continue protecting their clan. But despite having acquired the Eternal MangekyÅ Sharingan, Madara is still defeated by Hashirama. Stopping Tobirama from delivering the final blow, Hashirama makes another attempt to offer Madara peace. But Madara tells him that he will accept if Hashirama takes his own life or Tobirama’s. Hashirama agrees, and has his kin swear that the feud between their clans will end and that no harm will come to the Uchiha after his death. However, seeing his former friend’s resolve, Madara stops Hashirama from taking his life and accepts his proposal. With peace between the Senju and the Uchiha, the establishment of Konoha soon follows.